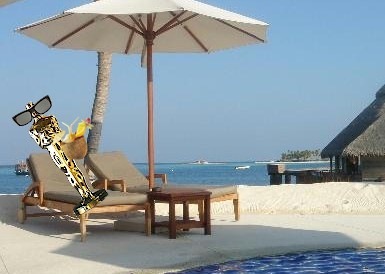 And the Oscar for the ‘Best Swag Gift…Ever’ goes to…Huvafenfushi. Estimated retail value: $16,000. PS. It’s not even the most expensive item in the bag! It all sounds very extravagant, but actually the windfall is probably more in the hands of the giver than the getter. If you think ‘too good to be true’ promotions are just the domain of low end punters, think again. 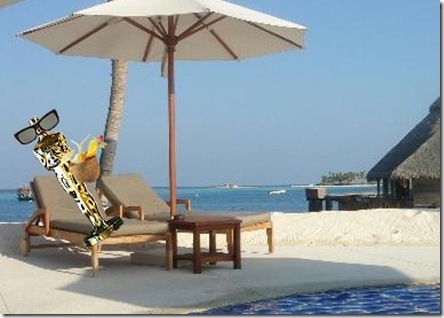 This stunt is actually a no-brainer for Huvafenfushi/Premier. In all likelihood, if the nominee does decide to take advantage of their coupon, chances are that Premier Tours will get plenty of money out of them. If you are an award winning Hollywood actor, are you really going to go all the way to the Maldives for just 4 days (the number that has been given away). You are probably going to be one of those fortnight guests which means Premier sells 10 paid days. Sort of like those offers of ‘free one night stay (with purchase of three qualifying nights)’. And for Premier Tours, high-end celebrity clientele don’t grow on trees and probably don’t respond to fliers shoved through the letterbox. But coupons shoved in an Oscar goodie-bag is another matter. 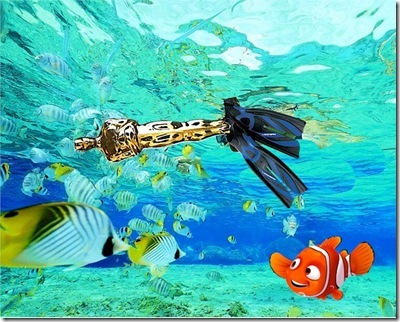 Winning a celebrity customer to your business is worth its weight in gold statues. So Huvafen and Premier probably makes a good a tidy chunk of change from its Oscar ‘give away’. But that’s just the beginning. In the meantime, Huvafen and Premier are getting reams of free publicity. Valuable publicity. Not cheap little banners on a backwater web pages, but stories in premiere publications speaking of their product in exotic, aspirational, and exclusive tones. And little dinky pieces like this one here. Having been an active TA Maldives Forum participant (“Maldives Complete”) for a while now, I’ve noticed that one does see the same sort of things come around as regularly as sting rays at feeding time. Discussions mosquitos, weather, snorkelling, children, snorkelling children, whale sharks. Many of these have been helpfully turned into FAQs by the Destination Experts (DEs). Obviously, one that comes around very regularly (about one out of every ten posts I discovered) is the question “Which resort?”. With over a hundred resorts to choose from and a few dozen more in the works, we can all appreciate the dilemma. But for all of the extensive choice, I found it curious that some resorts seemed to dominate the Forum while other great ones were virtually non-existent. I wondered whether it was just my perception so I did a little test. I pulled the Maldives Forum posts for the past six months (August through January) and simply logged any resorts mentioned in the post title. Not extremely scientific as an indicator, but easy, effective and objective. 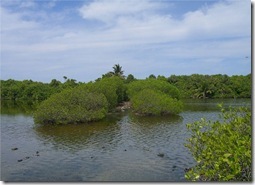 Vilamendhoo came out the most popular resort enquired about. 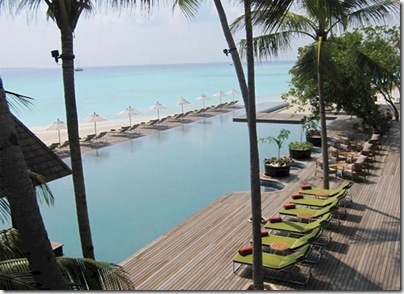 But just only as they pipped Reethi Beach 49 mentions to 48 over the last 6 months. 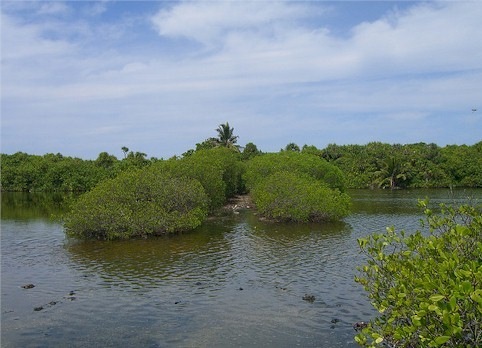 Rounding out the top 5 were Kuramathi (40 mentions), Lily Beach (38), and Biyadhoo (37). The lions share are shown above which you can click on to see in a clearer, larger version. I was also intrigued by the quite prominent resorts that have never come up on the forum at least as an explicit post. Many were Italian oriented resorts more like to go to an Italian language site – Alimatha, Dhiggiri, Gangehi, Kihaadhuffaru, Madoogali. Other were pretty exclusive so that the butlers probably book the travel – Banyan Tree Madivaru, Dhoni Island, Nika, The Rania Experience. 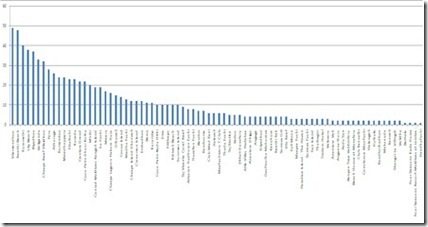 There was clearly an bias towards the lower priced resorts in terms of mentions. Admittedly, while there are typically fewer rooms/guest on the more expensive/exclusive islands, the modest difference in bed number was not enough to explain the quite extreme difference in post numbers. If 49 metres at Anantara Kihavah is not long enough (and you prefer your swimming in fresh water), then consider Shangri-La Villingili. 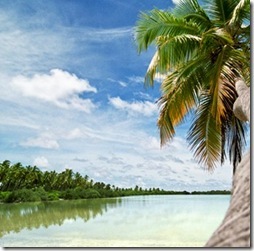 Villingili is situated on the island of Gan which has 3 fresh water lakes including its largest, Hithadoo. Winner of the ‘Newest Resort’ award goes to Anantara Kihavah which opened this past week. Unfortunately, especially the way Maldives development is going, such a recognition is fleeting at best. So I have had a run through of some of the early glimpses from this glittering new addition for a more enduring accolade. Actually, a number of innovations and designs have caught my eye and are likely fodder for future posts. The ‘Sky-Fire-Salt-Sea’ restaurant/bar/deck is a creative and ambitious concept with both underwater venue and elevated roof deck. High and low. Unfortunately, this part is about the one piece left not quite finished (it is due to be completed in mid-March). Francisco Negrin is there as this very moment so I await his accounts. So if doing your morning laps gets tedious in typically diminutive hotel pools, then consider Kihavah. 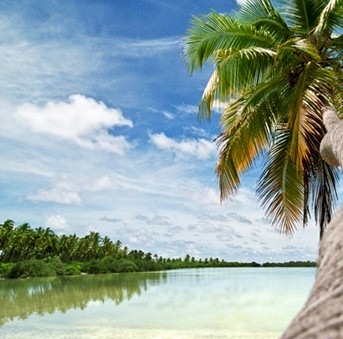 Maldives is arguably the most romantic place on earth. Today is the most romantic day of the year. So where precisely do you want to be? 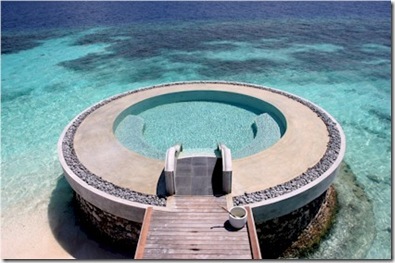 Well, I would propose Four Seasons’ Landaa Giraavaru’s Spa and Ayurvedic Retreat. They offer a striking array of treatments impressive even on Maldives standards (a few years ago Maldives was awarded ‘Spa Capital of Asia’). But one stands out on this day of lovers – ‘Tantric Traditions’. 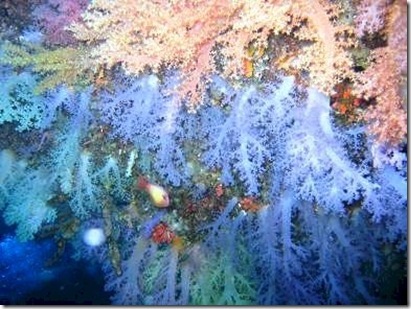 And if you are interested in cave dives, I recommend Tim Godfrey’s book ‘Dive Maldives’ reviews 12 of the top cave dive sites in the Maldives. You might have put an alert for on Amazon since the book appears to be out of print and is increasingly hard to locate. All of his dive sites are graded on a 3-star scale and 4 of those 12 earn top marks – Lankan Caves, Maagiri Caves, Fulidhoo Cave and Velassaru Caves. But the Mecca for cave diving in the Maldives has to be Helengeli as it has two of the top caves nearby- Trixies Caves and Fairytale Reef Blue Caves. 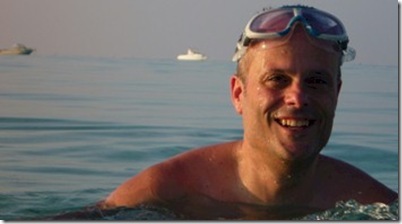 Both receive 5-stars in Harwood & Bryning’s ‘Complete Guide to Diving and Snorkeling The Maldives’. Looking for am apropos hangover cure from your Chinese New Year celebrations? 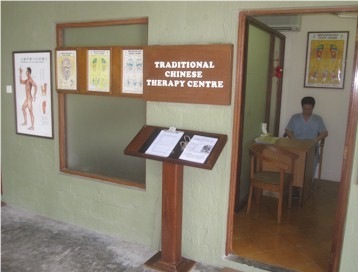 Well, you might want to stop by the ‘Traditional Chinese Therapy Centre’ at Club Rannalhi. Disclaimer – I am not a fan the many disastrous environmental effects of many traditional Chinese therapies that call for ingredients of rare species like tigers, rhinos and most relevant in the Maldives is manta gills. Most holistic therapies are harmless placebos which provide comfort. But when a billion people with increasing amounts of money start wanting these obscure ingredients, the side effects for the planet can be tragic. Fortunately, Club Rannalhi’s therapy centre does not offer any of these ingredients based on endangered species in its treatment offerings. 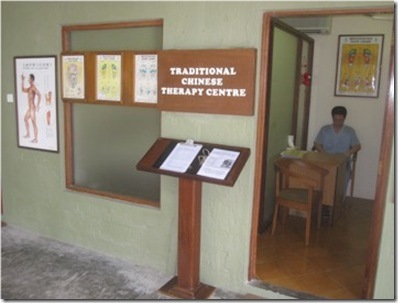 While other resorts have spas offering Chinese treatments (eg. Shangri-La Villingili, Olhuveli, Soneva Fushi, Meedhupparu), the Rannali centre is the only one who specialises in just this area.